our understanding of nature, its fragility and our need to protect it. The mission of Montello Foundation is to support artist who foster our understanding of nature, its fragility and our need to protect it. 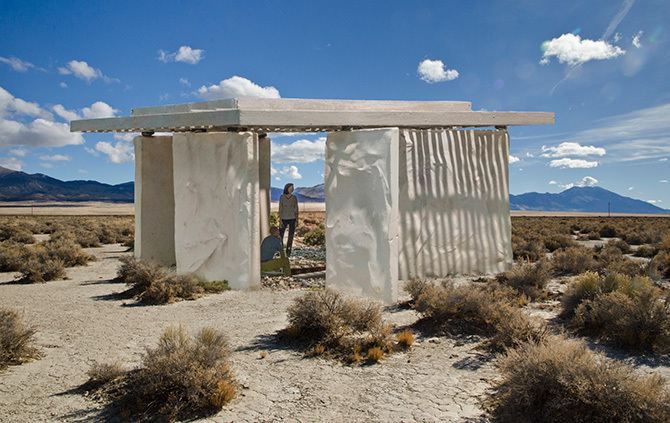 For four years we have been providing an artist residency in the Nevada desert, in a remote valley near the village of Montello, solitary, away from what we call civilization but surrounded by nature. To compliment this solitary experience of the resident artists, we are now planning to create a place for the general public, a waypoint to focus on the original purpose of a journey — a waypoint that is also accessible directly from the road. This road is in fact the very road that leads to the Sun Tunnels, by Nancy Holt when traveling north, and then on this road, a bit farther North, one is led to the Spiral Jetty, by Robert Smithson. 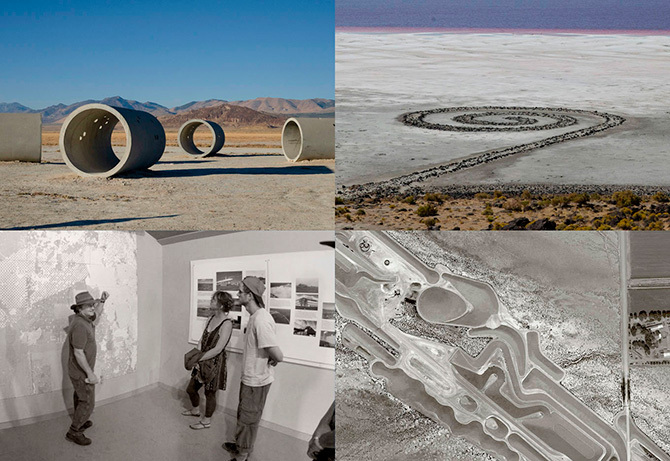 Towards the South, the road leads to the Comprehensive Survey Exhibition of the West by the Center for Land Use Interpretation in Wendover, Utah, and in the near future, to Complex One, by Michael Heizer. 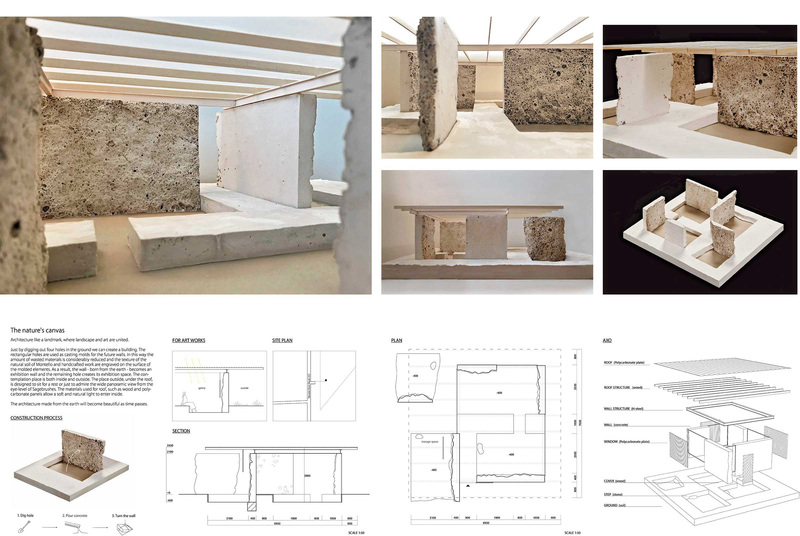 We decided to find the most innovative design for the Waypoint that by holding a competition for students currently finishing their Architecture degrees. With the support of the Union Pacific Foundation a call went out in December of 2017 to colleges around the world. From the 50 entries we received, we chose a group of winners and are now preparing the design by Naoki Ono, Tokyo University of Arts and Tinca Decuseara, Institute of Technology in Karlsruhe, Germany for the construction. 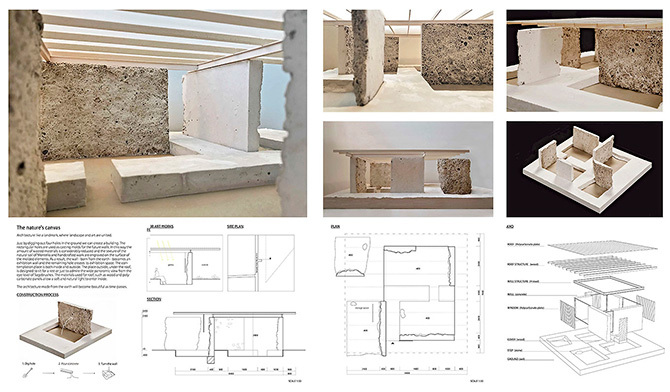 Naoki and Tinca’s design consists of 5 slabs, to be cast directly from the earth at our building site in Montello, incorporating the local topography, and so these walls will reflect the specific place. Their placement will also be framing the landscape, creating a critical relationship with the exterior environment. The roof will be for shading Waypoint visitors from the sun, and over the interior space, glass roofing will protect the walls and visitors from precipitation. This glass roofing references the Greek Peristyle but also the Native American ceremonial space, the Kiva. The structure will also address the relationship of the individual to this landscape, as well as with other visitors. In this way it can also function as a meeting point to exchange thoughts on nature and its fragility. Building the Waypoint depends on a communal effort. A community of like-minded individuals, raised over $16,000 on kickstarter to get the project started, but we do need your continous support to make this a reality. We have the unique opportunity of creating this Waypoint. 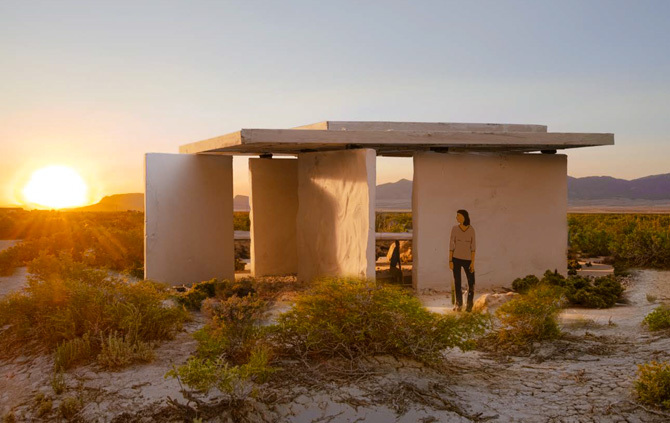 Whether you will be visiting it next summer or in the future, or if it is just important for you to know this place exists for seekers of quiet and reflection along a road in the desert, you can be assured that it is helping to create a sanctuary of lasting impact. So please join us in this effort to raise the funds!